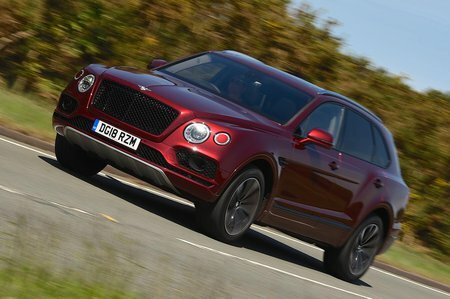 Bentley Bentayga 4.0 V8 5dr Auto 2019 Review | What Car? You’re paying a massive amount of money, but Bentley does provide a lot of standard equipment. Sat-nav, Bluetooth, a DAB radio, USB connections, automatic LED headlights, auto wipers, heated leather seats, front and rear parking sensors and a rear-view camera are all included. Slightly slower than the W12, but you are extremely unlikely to be disappointed with this engine. It is still monstrously quick and refined, plus it gets a great exhaust note. Fuel costs might not be a primary concern for buyers in this price bracket, but because the V8 offers almost identical performance as the W12 but with slightly more palatable fuel economy, it's our pick of the range.